MBA in USA vs. MBA in Australia - Which is better? MBA in USA or Australia - Which is better? MBA in USA or Australia - Which is better? 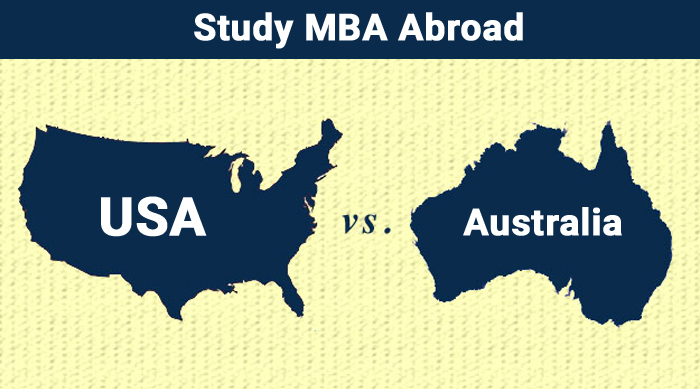 MBA- USA vs. Australia: There is a reason why MBA is among the most in-demand courses in the world. Take for example a report by Fortune, which puts graduate starting salary in the US at $100,000. Now while not every MBA graduate is going to earn that kind of money, it is enough to set the ball rolling in favor of MBA. Also, it isn’t always about the money, because the skill set you acquire during the degree opens doors across multiple sectors, be it healthcare, public service, or consumer goods. Another much eulogized virtue of an MBA degree is it allows, unlike most courses, great opportunities for networking which has become a cornerstone for success in the 21st century. But many of us are aware of these facts. Instead, what we don’t know, or rather, get confounded by is where to pursue an MBA degree from: should it be the USA or Australia.Going by statistics, the USA has more top ranked universities, but it hardly is the only criteria to put USA ahead of Australia. In order to come to a proper conclusion, factors like work experience required for admission, the admission cycle and cost has to be considered. An HSBC report shows that Australia is the costliest destination in the world with an annual cost of living of $18,012. In comparison, you need just $11,651 to get through in the US. Tuition fee though in the two countries are almost identical: US ($24,914) and Australia ($24,081). But these tuition fees are the average of an aggregate of different courses and are not an indicator of MBA tuition fee in Australia or for that matter MBA tuition fee in US. So, let’s us take a closer look at the MBA tuition fees in the two countries. It is fairly evident from the above charts that MBA tuition fee in USA is much higher than MBA tuition fee in Australia. Take for example, by the time you complete your two-year MBA degree from Stanford, which has an annual fee of $66,540, you will have spent well in excess of $100,000; much more than what you will need for the one-year MBA degree at Melbourne Business School, which charges $59,829 for the entire program.And this discrepancy isn’t just because of the difference in the duration of the two programs. Just check out our next example. Kellogg School of Management, which offers a one-year program like Melbourne Business School, commands $91,716 for the entire program, way higher than any one-year or two-year program offered in Australia. Even pitting two-year programme against its equivalent programme in the two countries fails to buck the trend. At Tuck School of Business, the annual tuition fee is $66, 390, while all you pay is $48,069 for a similar two-year program at Monash Business School. One interesting consequence of the low MBA tuition fee in Australia is that it more than nullifies the edge it cedes to the USA through its high cost of living. So, if cost of studying is your only criteria when selecting a destination, Australia wins hands down! If there is one parameter that you simply can’t ignore when selecting a b-school, it is its world ranking. 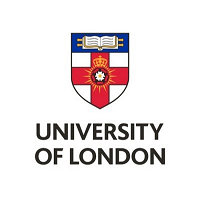 It is because these rankings take into account key variables like university faculty, scope of research, international exposure, funding opportunities for students and presence or absence of contemporary courses to rank a university. In other words, it guarantees you some minimum quality that you can expect of a university based on its rankings. Now we find that the USA has four universities in the top ten, while Australia has none, in the QS list. Even if you take an overall count, the number of US universities far outnumbers Australian universities, a good enough reason to study MBA in US. Also, with the so many universities making the list, studying MBA in US will have a range of specializations to pick from. Another advantage of having a large pool of universities is they invariably offer many unconventional and contemporary courses, which is very evident in US universities. Application cycle for studying MBA in USA: Universities in the USA don’t follow any common deadline for business courses and frequently have more than one deadline. The general trend is to have three deadlines, though universities like Dartmouth College – Tuck School of Business have as many as four deadlines. Application cycle for studying MBA in Australia: In Australia, sessions usually start in February, and ideally one should start doing the necessary research a year in advance since the entire process may take up to 10-11 months. Importantly, the application window in a majority of universities in Australia generally falls between September and November, in a departure from the trend seen in the USA. Nevertheless, there are a few exceptions that buck the trend and have more than one round, like AGSM MBA which has three rounds. Also, in cases where universities fail to fill up their seats in the September and November window, they may invite another round of applications, usually in July. To be eligible to study MBA in the USA, an applicant must complete 16 years of prior studies. In other words, after your 10+2, you must have completed at least 4 years of education (graduation or diploma). Students who have completed their Master’s degree are also qualified to apply for MBA in US. While universities in USA strictly demand that you complete 16 years of pre-MBA Study, a three-year Bachelor’s degree is enough to make you eligible for an MBA in Australia. Majority of Australian universities also demand work experience accompanying your academic qualification. According to Financial Times, American universities lead the pack of business schools with the best ROIs. And that even after taking into account the high cost of pursuing an MBA degree in the USA. Starting salary for a graduate from Stanford, or for that matter Harvard, hovers around $180,000. Meanwhile, average compensation of an MBA graduate in North America stands at an impressive $128,600. In comparison, average compensation of an MBA graduate in Australia is $86,000, which is lower than those in the USA. But you can counter that by arguing that cost of studying MBA in Australia is much less in the first place. So, whether you are studying MBA in USA or Australia, would depend on whether you want to take calculated risks or put all your eggs in the same basket. One major difference between studying MBA in Australia and studying MBA in USA is pertaining to work experience or GMAT requirement. In USA, for example, students are expected to score in excess of 700 in their GMAT exams to stand any chance of getting into a top b-school in the country. In Australia, however, GMAT is not a mandatory requirement as universities pay more attention to the student’s prior work experience; also, even in those universities that require GMAT scores, it rarely goes beyond 600-650. One major reason why GMAT isn’t mandatory for b-schools in Australia is they focus more on training students to be future managers, and pay less attention to theoretical and academic aspects of management which only helps a student to take the first steps in an organizational hierarchy. Also, many business schools, as part of work experience, require students to have at least 1-2 years of managerial experience. The approach seemingly has paid off, as MBA without GMAT in Australia is getting a lot of traction across the world with more and more students beginning to realize its usefulness and practicality. Coming to USA, even though GMAT is mandatory for admission into an MBA program, MBA without GMAT in USA isn’t something completely unheard of. It is because, while GMAT is the traditional way to get into an MBA program, there are executive MBA programs that have embraced MBA without GMAT with open arms, a case in point being NYU Stern executive MBA and UCLA - NUS Executive MBA.